We are a master roof laying company specialized in slate roofing. We do slate roofing on new buildings and restore roofs of all different kinds of roofing in a variety of slates. We also apply slates to facades, dormers and chimney stacks. Superior quality and excellent craftsmanship is guaranteed. We continually train our experienced staff in the skill of working with the natural material slate which distinguishes us as your reliable partner. 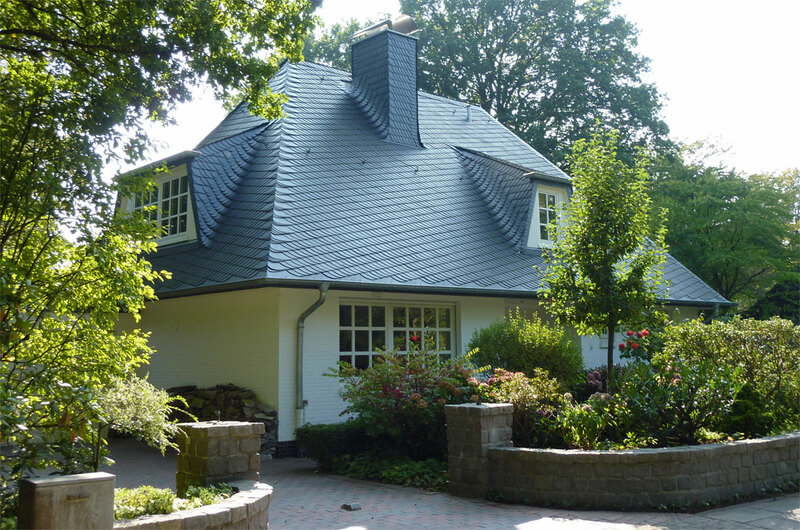 Clasen Schieferdächer is reknowned as a specialist for slate roofing all over Germany, and even internationally. Clasen Schieferdächer – your expert slater. 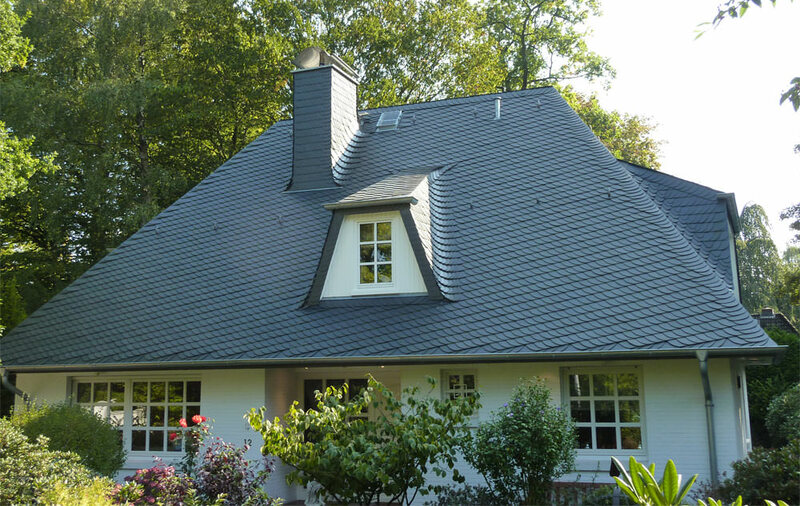 Slate roofing requires extraordinary skill and much experience with this special material. Therefore, slate roofing should only be carried out by an expert slater. Our staff are being continually trained to the state-of-the-art technology and hence guarantee the highest level of craftsmanship. How can we be of help to you? Do profit from our experience and the excellent craftsmanship of our staff. We would be glad to inform you in detail about all the possibilities that there are for you and then submit an offer.